Every spring I have four legged visitors to my feeding stations. This year is no exception. Two raccoons turned up to help clean up the seed that has fallen on the ground. 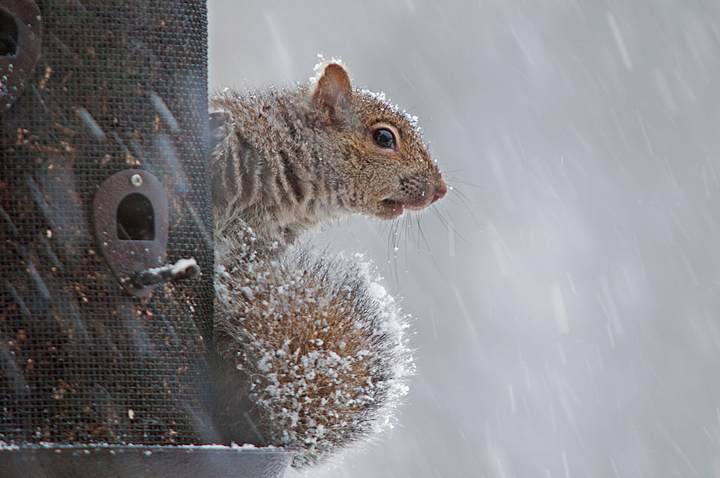 I was really excited to see the Grey Squirrel at my bird feeder a couple of weeks ago. It has been five years since I’ve seen a squirrel at my feeder. The euphoria was short lived and I now understand why my brother-in-law has declared war on them. He was on my feeder when I woke up this morning. We were having yet another snowstorm. He looked very comfortable on the feeder so I let him eat for a while before opening the window and hollering at him. 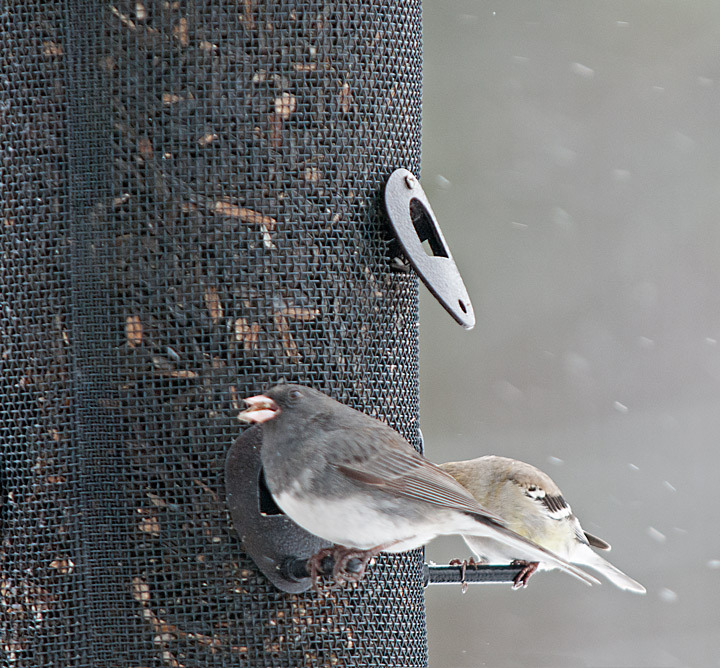 Later in the morning while I was photographing birds I noticed that my feeder looked a little strange. 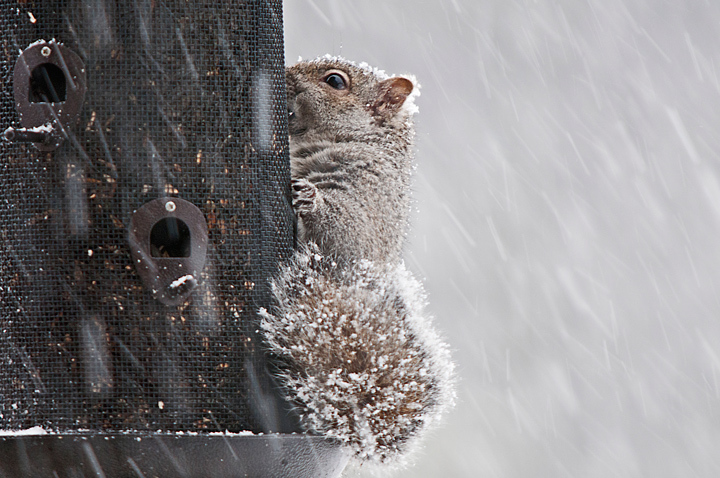 Upon closer examination I noticed that the squirrel had started tearing apart my feeder. A state of war has now been declared!